Pierce Mobley has been deeply involved in Lay Ministry for 20 years doing jail ministry, nursing home ministry, taught Sunday School, and also trucker ministry. 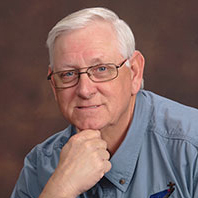 In using his 20 years of experience as a professional truck driver, he has been writing a monthly devotional column the past 15 years titled “The Highway Chaplain” for Driving Force Magazine. Pierce lives with his wife Pam in the North Georgia Mountains. They have 6 adult children and 9 grandchildren and it is his passion for ministry and the love for his children and grandchildren that is the root of where The Innkeeper’s Gift was an inspiration.